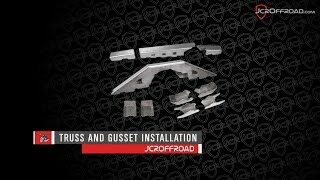 JCR offers a line of trusses for most axles. Our Jeep axle trusses are one piece and come assembled for a quicker install. Don't wait till you bend a housing to add some affordable, beefy insurance! Worried you can't handle the installation? Watch this video first for some quick tips.